At Insider Monkey, we pore over the filings of nearly 750 top investment firms every quarter, a process we have now completed for the latest reporting period. The data we’ve gathered as a result gives us access to a wealth of collective knowledge based on these firms’ portfolio holdings as of December 31. In this article, we will use that wealth of knowledge to determine whether or not Zoetis Inc (NYSE:ZTS) makes for a good investment right now. Is Zoetis Inc (NYSE:ZTS) a buy right now? The best stock pickers are getting more bullish. The number of long hedge fund bets went up by 4 lately. Our calculations also showed that ZTS isn’t among the 30 most popular stocks among hedge funds. ZTS was in 45 hedge funds’ portfolios at the end of the fourth quarter of 2018. 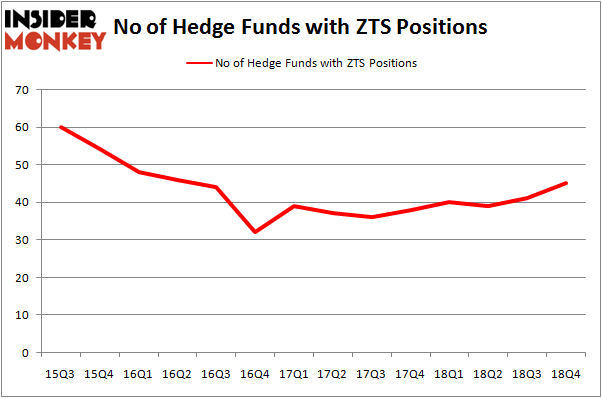 There were 41 hedge funds in our database with ZTS holdings at the end of the previous quarter. We’re going to take a look at the new hedge fund action encompassing Zoetis Inc (NYSE:ZTS). How have hedgies been trading Zoetis Inc (NYSE:ZTS)? 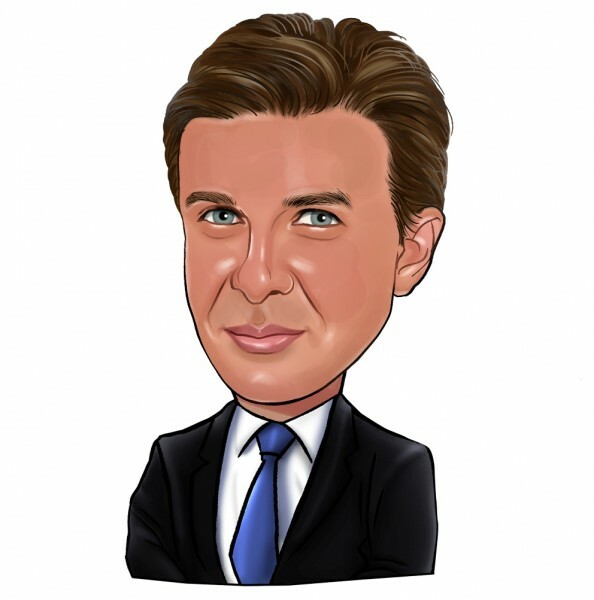 At the end of the fourth quarter, a total of 45 of the hedge funds tracked by Insider Monkey were bullish on this stock, a change of 10% from the previous quarter. The graph below displays the number of hedge funds with bullish position in ZTS over the last 14 quarters. So, let’s review which hedge funds were among the top holders of the stock and which hedge funds were making big moves. Of the funds tracked by Insider Monkey, William von Mueffling’s Cantillon Capital Management has the number one position in Zoetis Inc (NYSE:ZTS), worth close to $325.3 million, comprising 3.9% of its total 13F portfolio. The second largest stake is held by Marshall Wace LLP, managed by Paul Marshall and Ian Wace, which holds a $309 million position; the fund has 3.2% of its 13F portfolio invested in the stock. Remaining professional money managers that are bullish comprise Cliff Asness’s AQR Capital Management, Jim Simons’s Renaissance Technologies and D. E. Shaw’s D E Shaw. Consequently, key money managers have jumped into Zoetis Inc (NYSE:ZTS) headfirst. Chiron Investment Management, managed by Ryan Caldwell, assembled the most outsized position in Zoetis Inc (NYSE:ZTS). Chiron Investment Management had $22.9 million invested in the company at the end of the quarter. Steve Cohen’s Point72 Asset Management also initiated a $12.8 million position during the quarter. The following funds were also among the new ZTS investors: Matthew Halbower’s Pentwater Capital Management, Charles Clough’s Clough Capital Partners, and Matthew Tewksbury’s Stevens Capital Management. Let’s now take a look at hedge fund activity in other stocks similar to Zoetis Inc (NYSE:ZTS). We will take a look at China Telecom Corporation Limited (NYSE:CHA), Las Vegas Sands Corp. (NYSE:LVS), Marathon Petroleum Corp (NYSE:MPC), and Norfolk Southern Corp. (NYSE:NSC). This group of stocks’ market caps are similar to ZTS’s market cap. As you can see these stocks had an average of 42.75 hedge funds with bullish positions and the average amount invested in these stocks was $1665 million. That figure was $1816 million in ZTS’s case. Marathon Petroleum Corp (NYSE:MPC) is the most popular stock in this table. On the other hand China Telecom Corporation Limited (NYSE:CHA) is the least popular one with only 8 bullish hedge fund positions. Zoetis Inc (NYSE:ZTS) is not the most popular stock in this group but hedge fund interest is still above average. Our calculations showed that top 15 most popular stocks among hedge funds returned 19.7% through March 15th and outperformed the S&P 500 ETF (SPY) by 6.6 percentage points. Hedge funds were also right about betting on ZTS, though not to the same extent, as the stock returned 13.5% and outperformed the market as well. Were Hedge Funds Right About Ecolab Inc. (ECL)? Were Hedge Funds Right About Dumping FedEx Corporation (FDX)? Is Illinois Tool Works Inc. (ITW) A Good Stock To Buy? Is Vertex Pharmaceuticals Incorporated (VRTX) A Good Stock To Buy? Were Hedge Funds Right About Selling Northrop Grumman Corporation (NOC)? Were Hedge Funds Right About Getting Into Bank of Montreal (BMO)?